Should We “Harvest” Fetal Tissue? Last summer, a medical ethicist received an unusual phone call from a woman whose father suffered from Alzheimer’s Disease. The woman presented the ethicist with a startling scenario. She had heard about a new experimental technique that used fetal brain tissue implants to help victims of Alzheimer’s Disease. She wanted to become artificially inseminated with her father’s sperm so that she could abort the resulting fetus and use its brain tissue to help her father. The ethicist told the woman that her proposal was technically impossible and morally wrong. However, both of the ethicist’s judgments could be challenged by medical innovation, desperate patients, and accommodating physicians. Neurosurgeons in Mexico are ready to attempt a transplant of fetal neural tissue into the brain of a patient with Parkinson’s Disease. The viability of the transplant procedure will not be known for several months. Nevertheless medical researchers throughout the world, especially in the U.S. and Sweden, are optimistic that the special properties of fetal tissue will not only help patients with Parkinson’s, but also people with a host of other incurable diseases, including diabetes, Alzheimer’s, Huntington’s chorea, leukemia, and hemophilia. Radiation sickness and spinal cord injuries may also “benefit” from the implants. Fetal neural, pancreas and liver-cell implants could effect otherwise impossible recoveries for adults and children suffering from crippling illnesses and injuries. However, the moral, ethical, and legal questions posed by the “harvesting” of fetal tissue leave even aggressive American researchers uneasy about the long-term implications of this new medical development. The obvious worry is that a society which permits abortion on demand and does not protect the unborn child against attacks on its life and human dignity, may be unable to distinguish between the moral and immoral uses of fetal tissue, or to establish tough safeguards against abuses by researchers, doctors, businessmen—or women. The once-unthinkable story cited above illustrates the most persistent concern about the medical use of fetal tissue: Will women purposely become pregnant for the sole purpose of producing fetal cells for a relative who needs them? There is the added concern that women will produce fetal organs for profit. Because most fetal tissue presently used for research and implant treatments comes from elective abortions, this new medical technique is directly tied to the availability of abortions. Accordingly, opponents of abortion worry that the good achieved by donating fetal tissue for implantation may help to alleviate guilt about the means used to produce the tissue. The procedure could actually help to legitimize abortion. Yet for all the questions raised by the new procedure, there are many reasons to applaud what could be a major advance for millions of Americans suffering from blindness, senility, nerve, blood, and kidney disorders, and paralysis. The fetal implants would build on the recent gains already made in treatment of individuals suffering from nerve disorders. Patients with Parkinson’s have improved dramatically after tissue from their own adrenal glands was implanted in their brains. Live fetal cells, however, are viewed as even more beneficial for implantation than adult tissue because they grow faster, and they are more adaptable. Indeed, the negative reaction of some abortion-rights groups to this new technique suggests that it highlights the human development of the unborn—a fact that many prochoice groups have sought to suppress ever since Roe v. Wade. Given the tremendous potential of fetal-cell surgery, even ethicists who oppose abortion are not ready to categorically reject fetal implant treatments. Though wary of this new technique, they await answers to some key concerns: the means of “harvesting” the tissue, informed consent, and safeguards against coercive or commercial arrangements that encourage women to abort their unborn children. An important question is whether spontaneously-aborted fetuses, who often have anatomical defects, could be used in place of deliberately aborted fetuses. Waiting for the outcome of the fetal-cell surgery in Mexico, some U.S. physicians want to put off addressing the moral and legal obstacles until the technique moves beyond the experimental stage. Other physicians and ethicists believe that American society cannot afford to stand still until “progress” forces the government, the courts, or the medical profession to issue guidelines. Indeed, unfolding events in the fast-moving world of medical innovation may well decide the question in the next year. Right now, the entire field of fetal implants is posed for a major explosion. The most prominent experts in the United States include Dr. Kevin Lafferty, Ph.D., an Australian immunologist and research director of the Barbara Davis Center for Childhood Diabetes in Denver, and Dr. Robert Gale of the University of California at Los Angeles. Dr. Lafferty has already begun to graft cultured cells from fetal pancreas tissues onto the kidneys of adult patients with Type 1 (insulin-dependent) diabetes. In the seventies, attempts to cure Type 1 diabetes with fetal-cell implants failed because the fetal islet cells that produce insulin were rejected by the recipient’s immunological system. But in 1980, after Lafferty developed a culturing method to resolve the problem of rejection, islet cells were implanted successfully. A recent progress report published by the Children’s Diabetes Foundation in Denver stated that following transplantation of a high dose of undifferentiated cultured tissue, half of Lafferty’s patients have reduced their insulin requirements by more than 30 percent. The ultimate goal is to end the patients’ dependence on insulin. In 1986 Dr. Gale of UCLA made headlines when he surfaced in Chernobyl after the nuclear disaster to treat victims of radiation sickness with fetal liver implants. The liver cells came from fetuses aborted in the first trimester. It was hoped that the liver implants, which generate bone marrow, would build up the blood-forming tissues in Gale’s six patients. In fact, the patients died, but Gale is continuing to pursue this path of immunological research, one of the newest areas in fetal-cell surgery. The special regenerative powers of fetal tissue also offer hope to victims of paralysis. Though fetal-cell surgery to repair damaged nerves has been limited to animals, the results are encouraging. Recently, Dr. Jerry Silver of Case Western Reserve in Cleveland and Dr. Michel Kliot of Columbia Presbyterian Hospital in New York, successfully implanted a “living bridge” of rat fetal cells to stimulate and guide the regrowth of damaged nerves in rats’ spinal cords. While this work will be limited to repairing damage from certain kinds of accidents or ruptured disks, scientists hope that more typical injuries to the spinal cord can be treated in the future. For the moment, however, the most promising work has been initiated in Mexico. There, patients with Parkinson’s Disease were first treated with tissue implants from their adrenal glands. Since then, about 100 U.S. patients have undergone the adrenal-to-brain transplant operation. Some have benefited from the treatment and some have not. In the United States, immunologists and neurosurgeons at Vanderbuilt University, New York University Medical Center and other key hospitals have halted the transplants, using the time to examine the reasons for the patients’ inconsistent responses. Meanwhile, though scientists at Sweden’s Karolinka Institute and the University of Lund have been preparing the way to conduct the first fetal brain cell implant in a patient with Parkinson’s, a surgical team in Mexico is likely to take the honors. In Mexico, teams performing the fetal-cell surgery operate under strict standards. First, tissue can only be retrieved from fetuses that have been spontaneously aborted. Second, to avoid a possible conflict of interest, the woman’s obstetrician must have no relationship with any group seeking or performing transplants. Some American physicians like Dr. Abraham Lieberman, Professor of Neurology at New York University Medical Center and Chairman of the Medical Advisory board of American Parkinson’s Association, would like to have similar standards adopted in the United States. Dr. Lieberman has provided Parkinson’s patients with adrenal-to-brain transplants and has worked closely with the Mexican scientists planning the fetal brain cell surgery. By March, the success or failure of the Mexican effort will be confirmed. And if the surgery works, doctors like Lieberman will not have much time before American patients demand the treatment for themselves. However, many American experts doubt whether Mexico’s strict limitations are possible in a country that permits legalized abortion. The American Parkinson’s Association has already reported widespread interest in the technique by patients who do not care about the moral implications of using fetal tissue to cure their disease. Indeed, for the majority of doctors in the field, using tissue from aborted fetuses poses no special problem. “All of us who work in fetal research feel that if someone has decided to have an abortion and gives permission, it is all right to use that tissue to help someone else,” Dr. Gale of UCLA told the New York Times. Some experts even dispute the need for broad limits on the harvesting of fetal tissues. Recalling previous public fears about the commercialization of human organ donations, they note that such fears were proved to be unfounded. Why would fetal organs and tissue face different treatment? Yet fetal implants do pose special problems. For example, unlike most families who surrender a relative’s organs, mothers of aborted fetuses are directly involved in the cause of death. Noting the complexities involved, most medical ethicists believe a number of key issues must be carefully weighed before a moral judgment of the treatment can be reached. First, respect for the dead has always required scrutiny of any effort to dispose of human remains. While the therapeutic use of cadavers has not been judged as a violation of human dignity, any human tissue must be used and treated with utmost care. 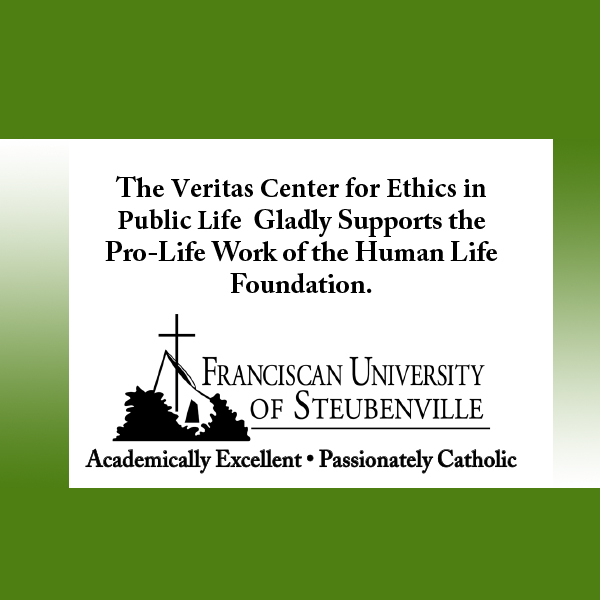 Given the present climate of hostility toward the unborn child, there is good reason to question whether the means used to harvest fetal tissue will satisfy this concern. Potential for the mistreatment of human fetuses is especially real because only the freshest tissue can be used for the implants. And some ethicists are worried that removal of the organs may occur while the fetus is still alive. According to present clinical studies, the optimal age for tissue retrieval is 12 to 16 weeks. Beyond that age fetal brain cells may not have the ability to regenerate. Some fetuses may briefly survive outside of the womb at four months. Accordingly, laws concerning organ transplants and informed consent should be strengthened to protect the unborn at every stage of development and to safe-guard, in particular, the rights of anencephalic newborns, who run a special risk of having their organs removed before vital functions cease. Another serious concern for physicians and medical institutions which oppose abortion is the fact that miscarriages will produce only a tiny proportion of fetal cell tissue. Miscarriages are unpredictable and they often occur at home where tissue cannot be retrieved. Further, most miscarriages occur because the unborn child has serious genetic problems. In the U.S., virtually all the fetal tissue used in research laboratories and clinical studies is removed from aborted fetuses. Thus, by meeting the demand for fetal implants, physicians and hospitals could also be encouraging the deliberate abortion of fetuses to maintain a ready supply. But should we even consider using tissues taken from a fetus that has been voluntarily aborted by its mother? Answering this question is especially important because of the direct potential for abuse. If raising the alarm seems like a scare tactic, consider that legalized abortion and the growing acceptance of reproductive technologies in this country have already altered the public’s understanding of the relationship between marital love and procreation. Fetuses are now being produced for commercial gain. When fetuses are viewed as products rather than persons, any kind of treatment can be justified. Some women could well believe that the use of fetal tissue to cure fatal or debilitating diseases would offer a solid reason for a pregnancy and subsequent abortion. Acknowledging the problem, a panel of medical professionals at a 1986 conference at Case Western Reserve University suggested that anonymity be maintained between donor and recipient, and that the donor could not be related to the recipient. Nevertheless, even the Catholic Church has not automatically ruled out the use of tissue from deliberately-aborted fetuses. Catholic ethicists compare such fetuses to adults who have died of a violent crime because such victims are not rejected as organ donors, aborted fetuses need not be. Yet the analogy does not hold up completely because the accessibility of abortion poses a real risk of abuse not only by women, but also by obstetricians and fetal-research teams, who might work together to increase the supply of tissue. For this reason, cautious experts in the field believe that obstetricians, gynecologists, and geneticists counseling pregnant women must be completely separate from researchers seeking fetal tissue. Prohibiting the sale of fetal tissue would also help to limit the potential for abuse. At the moment, non-profit groups distribute fetal tissue to designated research groups. However, a California-based company, Hana Biologics, plans to market the tissue when fetal-cell surgery takes off and the demand escalates. While some ethicists question whether fetal tissue should be marketed, many applaud the work of companies like Hana Biologics. The company’s culturing process allows the original number of fetal cells to grow and multiply so that more people can benefit from fetal cell implants. A Type I diabetic, for example, would require cells from five to twenty donors, but since Hana is able to effect a 20-fold increase from the original tissue, fewer donors are needed. Ethicists believe that the culturing process will help provide an adequate cell supply and thus discourage the use of selective abortion for the purpose of harvesting fetal tissues. But where does the law stand on the use of fetal implants? Most legal experts say that few laws directly apply. Laws now on the books, however, suggest that there are no current legal prohibitions on using tissue from dead fetuses for transplant purposes. However, state laws prohibit-ing fetal experimentation may block large-scale research and surgery in this area. In the early sixties, most states passed some version of the Uniform Anatomical Gift Act which made it possible to donate fetal tissue from any source. Later, after Roe v. Wade, some dozen states passed statutes prohibiting or restricting fetal research. Now, according to Patricia King, associate professor of Law at Georgetown University Law School and a specialist in bioethics, there is a growing debate over the legal status of the “nonviable living fetuses”—newborns who can survive outside the womb only for a brief period. If their status is changed, then their organs could be “retrieved” before they are legally dead. The law presently treats a live fetus outside the mother as a child who is subject to all the legal protections that have been established for any living human donors. In the case of living adult donors, organs cannot be removed without their informed consent. When children are asked to donate organs, such as a kidney for a sibling, a court agreement is required. In the case of living anencephalic newborns, transplant teams hope to establish new criteria that would allow the removal of organs before the child is legally brain dead. Once the demand for fetal tissue begins to escalate, there will be strong pressure on the courts and state legislatures to relax legal protections for “nonviable living fetuses.” This very real threat, combined with the possibility that fetal-cell surgery may encourage elective abortions, are reasons enough to adopt a cautious attitude toward what will be widely embraced as a “miraculous” cure for many—perhaps millions?—of Americans. However, it would be precipitous to automatically reject what could be a life-giving breakthrough. Given the many variables, it is still impossible to issue a final ethical judgment on fetal tissue implants. Rather, there should be detailed study of all the acts related to the procedure, and all the moral and social implications of harvesting tissue from deliberately-aborted fetuses. The study would determine the nature and the extent of the threat that fetal transplant technology poses to the unborn. The study might conclude that the procedure should be completely outlawed, or it might suggest that only the tissue of spontaneously aborted fetuses should be used for implants. Given the problem of informed consent in the case of deliberately aborted fetuses, it is difficult to see how their rights could be protected. Finally, if the technique was found to be morally acceptable in certain cases, the study would attempt to outline solid standards for fetal cell surgery and organ removal. The American public is likely to be primarily concerned with “results.” But before physicians, researchers and patients celebrate the miracle of fetal-cell implants, they must be confronted with all the implications of turning yet another—possibly radical—corner of medical innovation and man’s treatment of his most defenseless brothers and sisters. 2,207 people have visited this page. 1 have visited this page today. Pingback:	Does Ben Carson Have a Blind Spot on Fetal Tissue? So very EVIL! Excusing an abomination to bring about “good” is inexcusable and will place curses on those who believe in this horror and especially those who participate in it.